If you are an android lover, then you might familiar with the term rooting. One of the most astonishing feature of Android Operating System is it allows you to do basically anything with your phone. In due course of this article, we will guide you how to Root the Samsung Galaxy S Duos S7562 smartphone. Please be aware that once you root your phone the warranty of your device may get void. Once you have root your device there is a chance of your data getting wiped off, so it is better to take backup of all your precious datas which was present in your Samsung Galaxy S Duos smartphone. Just in case, if you want to return to Samsung Official stock ROM or in case something goes wrong the backup will be useful for you. So, once you have created backup you need to enable the USB Debugging from the path “Settings > Applications > Development > USB debugging”. Ensure that the USB Debugging option is ticked. So, once you have finished over all the above mentioned instructions head over to the next step where we have summed up a detailed tutorial on how to root your Samsung Galaxy S Duos S7562. First, download the Samsung Galaxy S Duos Rooting Kit.zip from here to your computer. 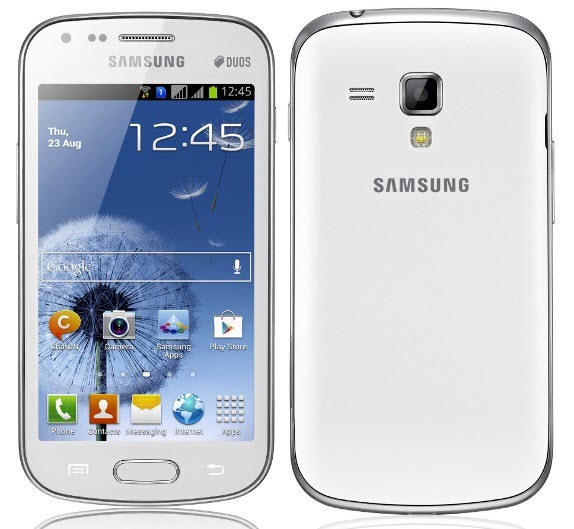 After that install the drivers for your Samsung Galaxy S Duos using KIES. After that Switch OFF your mobile so that it can enter into the download mode. Once your phone has Switched OFF then press the Volume Down button + Home button + Power buttons simultaneously until the phone vibrates. Once the phone vibrates, then leave all buttons. It will show you a Warning message, then press the Volume Up button to continue to the downloading mode. Now, you will see [Odin3] screen on phone which is download mode. After that connect your Samsung Galaxy S Duos S7562 smartphone to your PC with the help of USB cable and wait till it install the drivers. 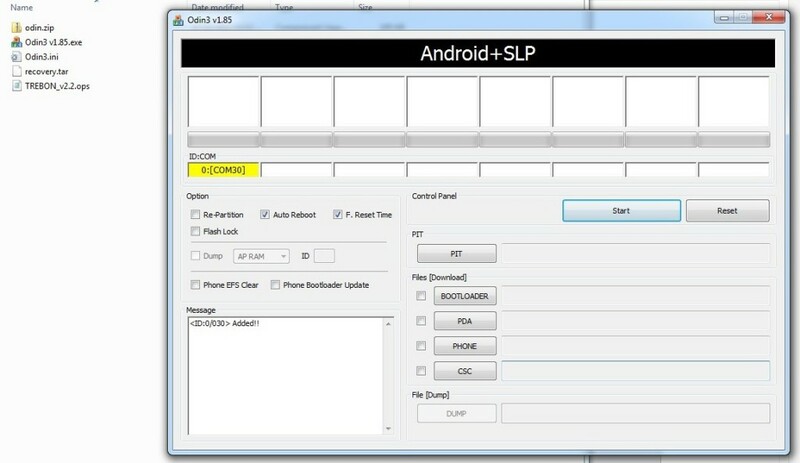 Extract the Samsung Galaxy S Duos Rooting Kit.zip and open the Odin from there. Odin will detect your phone on some COM port. You will seeing various boxes in that you need to check whether F.Reset time is ticked, Auto Reboot is Ticked, PDA is ticked except these three boxes the remain should be unticked. After that click on PDA under the files (download) section in ODIN and select the recovery.tar file you can find this in the extracted rooting kit. Now click on the start button, Odin will start flashing wait for atleast 2-3 minutes. Odin will automatically reboot your phone and you will see pass written on Odin. Keep the phone connected to your PC. Let the phone boot properly and then close the odin. Now, for rooting you have two options. Superuser or SuperSU. You can choose any of them. So, Download CWM-Superuser-3.1.3.zip OR CWM-SuperSU-v0.96.zip and copy to your MicroSD card. If you don’t have MicroSD card, you can copy it to phone’s internal SD card memory. You can find this file in the rooting kit. After that turn OFF your device and boot into recovery mode by pressing the Volume up + Volume Down + Home + Power button simultaneously till the Samsung logo appears followed by the CWM screen. Use Volume Up button to scroll up and volume down button to scroll down. Use Home button to select and power button to go back. IMPORTANT : Go to “BACK AND RESTORE” and create a Full backup by using “backup” option. Make sure you have atleast 500 MB storage free in the SD card before performing the backup. Go to install zip from SD card option and select “Choose zip from external SD card” (if files are in external microsd) or “Choose zip from internal SD card” (if files are in phones internal SD card memory). Finally navigate to the WM-Superuser-3.1.3.zip OR CWM-SuperSU-v0.96.zip and select it. That’s it. Successfully you have rooted your Samsung Galaxy S Duos S7562 device. Congrats! Plz let me help by giving the instruction that How i install apk on my external sd card at my Samsung S Duos mobile.